Simon French joined the Department of Statistics in August 2011. He moved here from Manchester Business School, where he was Professor of Information and Decision Sciences to take up the Directorship of RISCU, the department's Risk Initiative and Statistical Consultancy Unit. At the beginning of 2017, he handed over the Directorship to Martine Barons and at the same time RISCU was renamed, the Applied Statistics and Risk Unit (AS&RU), of which he remains a member. Simon's research career began in Bayesian statistics and he was one of the first to apply hierarchical modelling, particularly in the domain of protein crystallography. Nowadays he is better known for his work on decision making, which began with his early work on decision theory and saw several papers on the mathematical foundations of rational decision making and the publication of his 1986 text on Decision Theory. That strand of work still continues in the background: e.g. his book on Statistical Decision Theory, co-authored with David Rios Insua. However, his work has generally become more applied; looking at ways of supporting real decision makers facing major strategic and risk issues. In collaboration with psychologists he has sought to support real decision makers and stakeholders in complex decisions in ways that are mindful of their human characteristics. He has worked on the design of decision support systems, again recognising the need to temper the output of models with the needs and behaviours of their users. Hhe has worked on public risk communication and engagement and the wider areas of stakeholder involvement and deliberative democracy. Simon has worked across the public and private sectors, often in contexts that relate to the environment, energy, food safety and the nuclear industry. He has consulted for many regulators and organisations in the public sector: the Department of Health, the UK Food Standards Industry, the European Space Agency, Public Health England, the Medicines and Healthcare Products Regulatory Agency and many parts of the nuclear industry. In all his work the emphasis is on multi-disciplinary and participatory approaches to solving real problems and the innovative use of technology in supporting decision making. He has a particular interest in supporting emergency management processes. Recently he worked with the UK's Atmospheric Dispersion Modelling Liaison Committee to develop ways of communicating spatial uncertainty to COBR, the UK's national crisis management cell. That work is continuing in CONFIDENCE, an Euratom H2020 project. 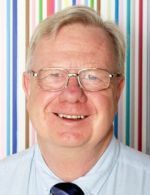 In 2017 Simon was awarded the Ramsey Medal by the INFORMS Decision Analysis Society for his research in and applications of risk and decision analysis.